At MHM, team work is not just manifested in the office, but also in the community-at-large. Beyond the office life, the MHM team participates in different activities and events that build stronger work relationships and connections to the community. MHM is ahead of recent demographic surveys with a ratio of 3:5 women to men in our workplace. Take a look at how our current employees breakdown. The one thing nearly all of us have in common...we bleed ORANGE. Held every first Wednesday of the month, the MHM team gets together near the end of the work day for some food and drinks to share and collaborate on current projects and other design related activities. This includes office tours of current and past projects in the area! Each quarter MHM gets out of the office to just have fun. 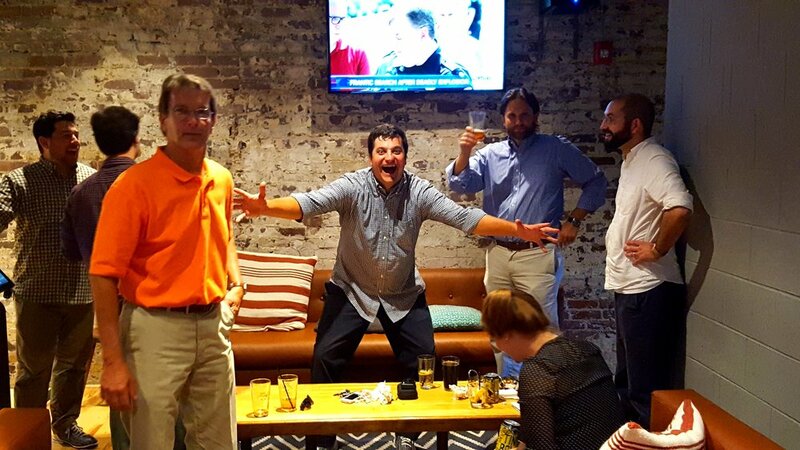 Whether it is visiting a local brewery or bowling, we are quaranteed to have a good time! MHM participates in the annual YAF Volleyball league each summer. The teams are comprised of design and engineering firms from our area, and the teams are open to family and friends to join. The experience is always a ton of fun and a greatway to get to know each other! Canstruction is a charity art exhibition where competing structures are made entirely out of canned food items. Every canned food item used in the exhibition is donated to local hunger relief organizations after each event. The MHM team, along with Scripps Networks Interactive, proudly participates at the local Knoxville Canstruction chapter. 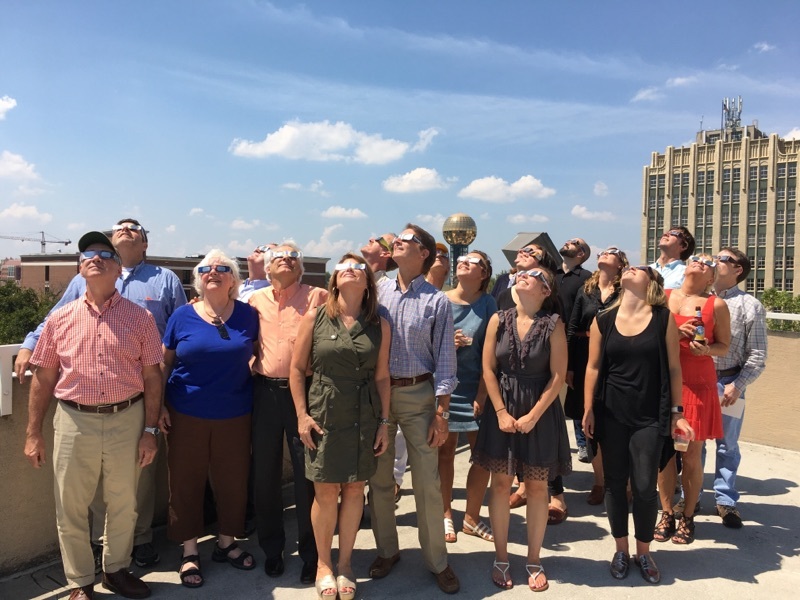 MHM likes to celebrate the little things, like total solar eclipses from the parking deck! Before our recent office renovation, we took some time to show just how much we appreciated our old office! MHM took on three local design teams at DesignSLAM! Volume 4 during Architecture Week. DesignSLAM! challenges local architects by giving them a Knoxville design challenge. Teams come up with a solution in real time, presenting their designs along the way to the audience and a panel of guest judges. Our team was proud to win the Judge’s Choice for the event! Congrats to Bud Archer, Adam Buchanan and Michael Turko on their speedy design prowess!